Ronald and Tamara Kunis started in March 2015 restaurant bij Qunis in the old pumping station The Lynden located in Lijnden. Lijnden is a town in the municipality of the Haarlemmermeer, near Amsterdam. The pumping station dates back to 1847 and played an important role in the reclamation of the Haarlemmermeer between 1849 and 1852. The pumping station stopped operation in 2005 and is now a monument. The pumping station is now owned by BOEi, a nonprofit organization dedicated to reallocate industrial, religious and agricultural heritage. In 2014 the restoration of the boiler started, respecting the monumental character. 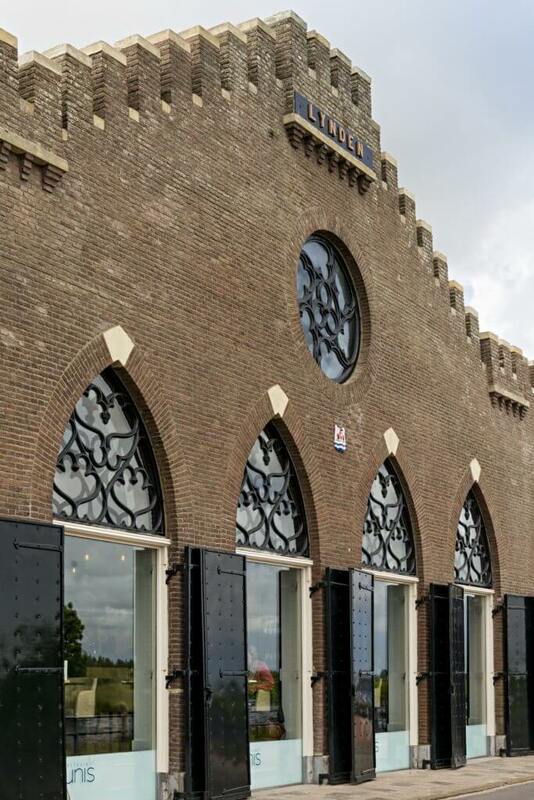 We are very proud of the fact that this unique part of the pumping station is transformed into restaurant Bij Qunis! Ronald and his team create dishes with various fresh vegetables and seasonal products. The restaurant accomodates for approximately 100 seatings. Additionally there are two separate (meeting) rooms available accomodating to 30 people and a private room for up to 16 seatings. We also have a lovely terrace with a water-view and free parking.